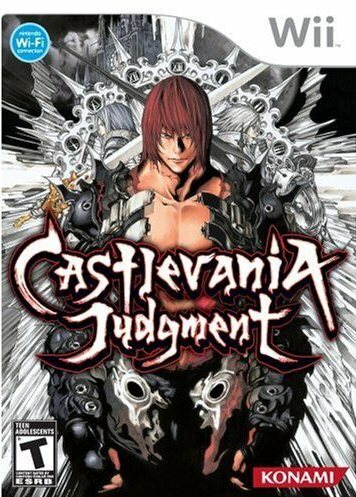 Let’s start right off the bat with a statement of the obvious; Castlevania Judgment isn’t exactly critically lauded. 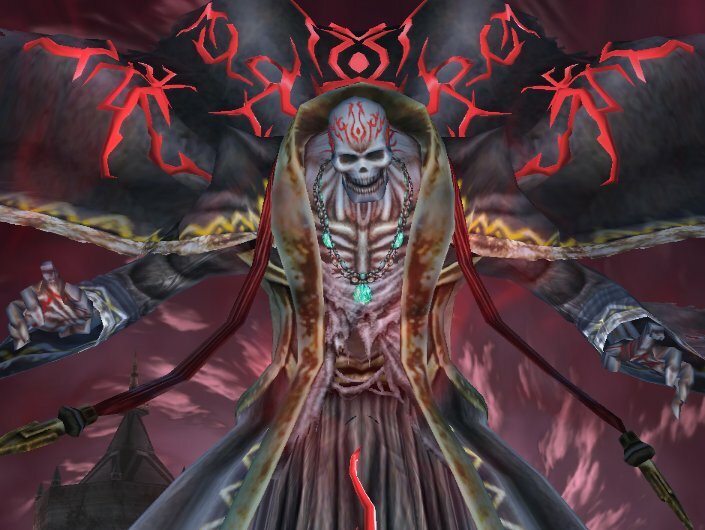 A fighting game originally released in 2008, it’s probably more well-known for being one of the last titles in the Castlevania franchise headed by Koji Igarashi before MercurySteam introduced us to the Lords of Shadow universe. But is the game really deserving of the scorn it received? Consider your answer carefully. Very carefully. Well, to be perfectly honest, yes and no. Yes, the game is definitely flawed in numerous ways. But for everything bad about it, there are also some legitimately good points. There’s a solid, entertaining idea for a game buried in Judgment that Konami simply didn’t give the proper time to develop. At its core, Castlevania Judgment is a one-on-one fighting game that features characters from across the history of the Castlevania series. The roster features classic characters like Simon and Trevor Belmont, Alucard, and of course, Dracula. The basic premise of the game’s story mode sees characters pulled from throughout the timeline into a rift where they meet a time-traveling stranger by the name of Aeon who puts each fighter to the test to determine who should take on the final challenge and save the timeline. From this guy. Folks, meet the Time Reaper! 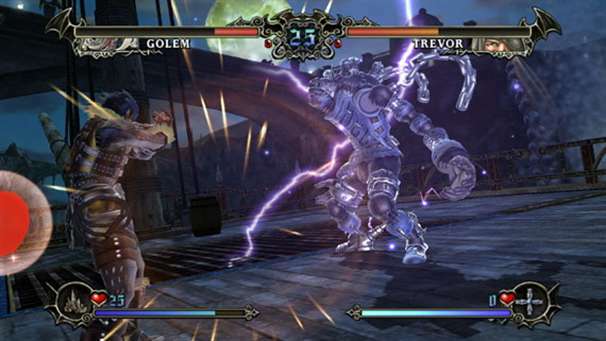 Similar to a fighting game like Soul Calibur, characters are able to move about 3D arena environments and use a variety of attacks in an effort to either KO or ring out their opponent. For an added twist, objects scattered about the arenas can either be thrown at the opposing fighter or smash to reveal hearts or power-ups. Many of the environments also play host to obstacles or traps that can harm both fighters. In terms of game modes, Judgment offers good variety; the aforementioned story mode, a standard arcade ladder, tutorial and practice modes, on-and-offline multiplayer, and survival. The most unique mode of the lot is Castle; essentially a challenge mode that forces the player into a series of matches with specific conditions such as being required to collect a certain number of items or defeating an overpowered opponent. Challenges are laid out in a simple map, and to progress further in and face Dracula at the end, each challenge must be faced in turn, with paths branching at points for optional battles and rewards such as character customization items. Save points are scattered around the map and offer health restoration, but there are also random encounters; challenges that rear their heads as the player moves about the map. Overall, the basic ideas behind the game and its variety of features are sound, and it’s a great idea for a Castlevania title. However, the execution of the core fighting is lacking. The camera, for example, is abysmal at keeping track of both fighters as they move about the arena, particularly as they put distance between each other. And while the characters are allowed to run freely about the environment, which is helpful for smashing objects and collecting hearts and power-ups, there’s no way to lock or focus on the opponent, leading to a lot of strikes that simply miss because the attack angle was misjudged; probably because of the poor camera. Unfortunately, the camera is rarely this good. The biggest hurdle, however, is the controls. Basic attacks are performed by shaking the Wii Remote; one shake produces one attack, while a series of shakes leads into a combo. 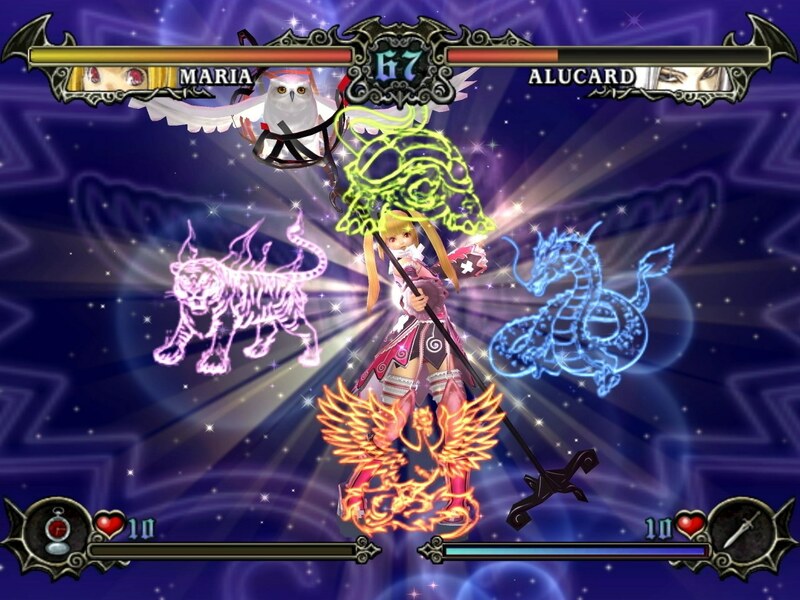 Special attacks can be performed by holding the B Button while shaking the remote, with additional attacks available depending on whether or not the control-stick is tilted during the attack. But regardless, there’s a whole lotta shakin’ goin’ on. And it becomes very tiring very quickly. 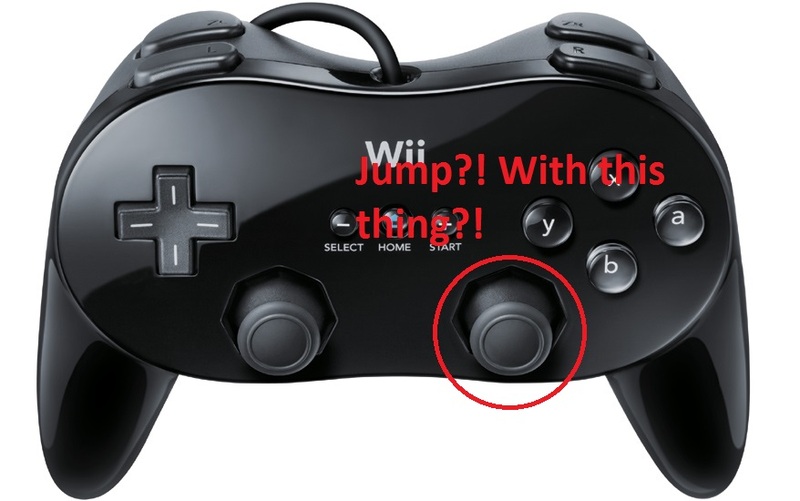 To be fair, there are control options that utilize the Classic Controller or even a GameCube controller, but the game’s more traditional controls are arguably worse, with an awkward command layout that sees jumping of all things mapped to the right stick. But let’s stop beating up on the game for a bit, because it’s at least not hard to see what they were going for and how things fell so short. The notion of tying individual strikes to shakes of the Wii Remote wasn’t a new concept at the time of the game’s release; heck, Twilight Princess did it. The core problem stems from the fact that, when things get heated, gameplay devolves into frantic shaking and pumping. There aren’t enough nuances to the motion controls to demand anything more of the player. It’s worth noting that Castlevania Judgment was released roughly half a year before Nintendo brought out the Motion Plus adapter; in fact, both this game and the adapter were showcased at the same E3. It’s very possible that had the game allowed for more precise motion controls that it would have played much better. Certainly, the rest of the core combat is given a fair amount of depth, with aspects such as dodge-rolls, special unblockable techniques, powerful super-attacks that require precise timing, and the implementation of Castlevania subweapons. There are a lot of good concepts implemented in the game’s fighting system, and had the core motion aspect demanded something more precise, this review would probably be a vastly different story. Though even with the poor controls taken into account, there’s also the issue of character balance. Which is to say, there’s not much balance to be had, if any. Dracula, for example, is easily the slowest character on foot, but his attacks are so powerful that he’s basically a walking tank. Which, while expected to a degree since he is the final boss of the Arcade and Castle modes, is just one symptom of the game’s overall character imbalance. Since Castlevania Judgment was released in late 2008, or roughly four and a half years ago, I can say that the game features online multiplayer, but I can’t really comment on the quality of the experience. At this point the game is utterly devoid of online competition, though I can say that, as of this writing, it’s still possible to connect online and do just about everything except fight. And while the core fighting experience may be flawed, the selection of online features is actually quite robust, even taking into account the game’s status as a Wii title and all of the online baggage that entails. 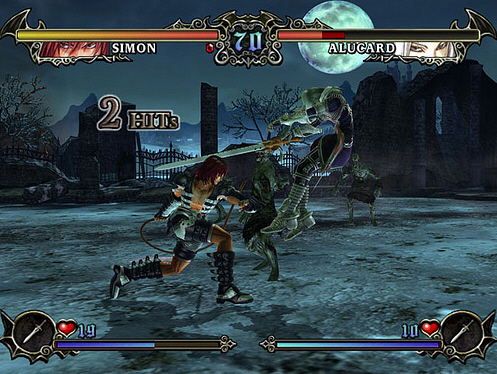 So while Castlevania Judgment does necessitate Friend Codes to play against friends online, the game also offers ranked matches against strangers, as well as a Rivals list; a little-used option found in a few other online Wii titles, strangers playing against each other have the option of tagging each other as rivals, allowing them to play against each other in a manner akin to a Friends match without the Friend Codes. Of course, as a fighting game, one of the most important aspects of Castlevania Judgment is its roster of fighters. And like everything else about the game I’ve discussed up to this point, it has its good points and bad points. As stated before, a number of major players from Castlevania’s history are all present, from the original protagonist Simon Belmont to Order of Ecclesia’s Shanoa. But the roster is only fourteen deep, with one slot reserved for the story mode’s host, Aeon, and another given to a no-name golem designed as the physical brute of the roster. As large and diverse as Castlevania’s legacy of heroes, villains, and antiheroes is, it’s disappointing that a spot on the roster was given to such a throw-away character. Debates can certainly be held on which characters left out truly deserve to be on the roster, such as Aria of Sorrow’s Soma Cruz, Dracula X’s Richter Belmont, or perhaps Curse of Darkness’s Hector, but the fact remains that for all of the good roster moves, there are some poor selections and glaring omissions. His story is mildly entertaining, but Golem is really nothing but a waste of a character slot. While on the topic of the roster, let’s talk about the art design, which marks it as another unique oddity in the franchise. For the project, the team brought in manga artist Takeshi Obata of Death Note fame to design the characters. And while some may chafe at his stylistic flourishes, the designs do represent a fun change of pace, which is in all likelihood what the game itself was intended to be; a lighter take on Castlevania having fun with its characters and long history. Obata’s contribution to the project is a welcome one, even though it can be said that some of his designs do feel like Death Note cosplaying Castlevania. 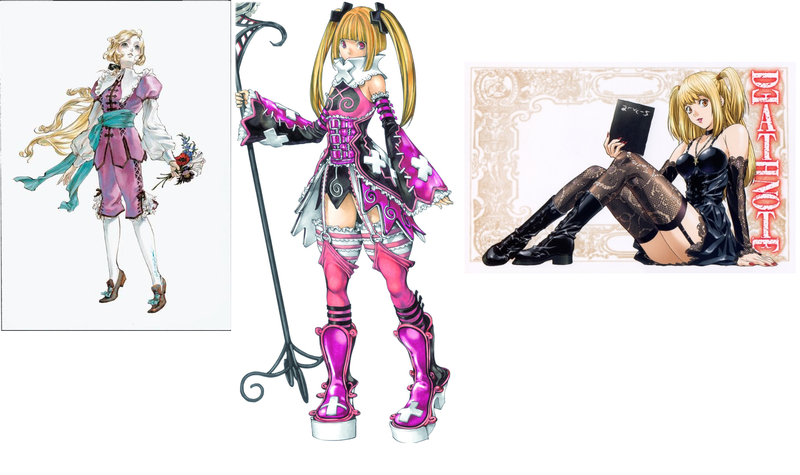 From Left to Right: Ayami Kojima’s depiction of Maria Renard in Dracula X: Rondo of Blood, Takeshi Obata’s Maria design in Judgment, and Misa Amane of Death Note. Overall, the character designs are well done; it’s just a shame that more couldn’t be done with them. Cutscene presentation in the game’s story mode is minimalist at best, with the character models simply facing each other in neutral poses as the camera displays them from various angles while they talk. It feels both rushed and lazy, as though the development team either didn’t have the time, budget, or willingness to motion capture or provide basic animation beyond mouth movements and blinking to these sequences. Outside of the story cutscenes, the presentation is much better, with the fighting styles and animations flashy and varied, and each character’s cinematic super move giving them that extra bit of flavor. In general, the graphics, while colorful, don’t push the hardware as hard as they perhaps could have. The Wii was never a powerhouse console, but the visual quality doesn’t have the oomph of games like Tatsunoko vs. Capcom or the stylishness of No More Heroes. But while I wouldn’t go so far as to call the graphics bad, they could have easily been better; more detail in the environments and the bland front-end menu in particular would be welcome. The super attacks are some of the best-looking moments in the game. So really, Judgment is full of ups and downs. But. BUT! If there is one area where Castlevania Judgment truly, legitimately shines, it’s in its soundtrack. Comprised mostly of classic tracks from the history of the series, the compositions are among the absolute best in the franchise and a perfect fit for a fighting game. Old classics like Vampire Killer and Bloody Tears are rendered in amazing form, as are newer themes like Order of Ecclesia’s An Empty Tome. As for the rest of the game’s audio, the English voice acting is serviceable, though the game does also feature the Japanese language option for those that prefer it. The idea of celebrating the Castlevania series with a fighting game that doesn’t take itself too seriously is one that I love, but as much I want to love Castlevania Judgment, there are too many key flaws that hold it back. Yet, I’d argue that the game’s disappointing state feels more like the end result of a development cycle rushed or truncated to meet a holiday release deadline than anything intrinsic to the conceptual game design. In my opinion, had Konami been willing to give it another year, or even six months, the end result would have been substantially better, particularly if the motion controls had been allowed to use the Motion Plus accessory, or the more traditional controls had been given a better layout. But as much as I like to imagine what the game could have been, I can’t rate it based on “could haves” and “what ifs”. Even so, I feel that Castlevania Judgment is a game that’s worth more lamentation than mockery. It’s a great concept that has some fun ideas buried inside, but there just wasn’t enough done to make those ideas shine. Though if you can find it at an import retailer, buy the soundtrack, because damn.